Welcome to the next chapter in your driving education. 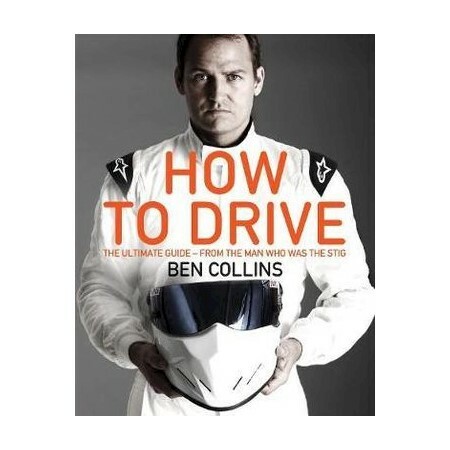 Former Top Gear Stig Ben Collins shares expert skills and wisdom refined over a twenty-year career as one of the best drivers in the world - from Le Mans Series racing to NASCAR, piloting the Batmobile and dodging bullets with James Bond. Ben's philosophy of anticipation, smoothness and speed, honed over thousands of hours of elite-level performance, is really about economy of motion - which also gives you greater control, safety and fuel efficiency. This book is about driving better, not faster. Whether you've been behind the wheel for the best part of thirty years or you bought your first L-plate ten seconds ago, this is the stuff your instructor missed, your dad forgot and your mates pretend to know ...but don't. Ben Collins was born in Bristol before moving to California, where he competed as a junior Olympic standard swimmer. When a career as a fighter pilot was cut short by a visit to the optician, Ben switched to cars. He won races in every category from Formula Three to Le Mans Sportscars and GT, capturing the European Le Mans Series and ASCAR titles, and this year is competing in the FIA World Endurance Championship. In 2003 he became the anonymous fourth presenter, known as The Stig, of Top Gear, coaching celebrities, organising car chases and testing hundreds of priceless cars. Eight years and 13 series on, his alter ego is recognised by millions around the world. Ben currently works as a Hollywood stunt driver in a variety of action-packed movies, including the last two instalments of the James Bond franchise: Quantum of Solace and Skyfall. Ben lives in the West Country with his wife Georgie and three children.